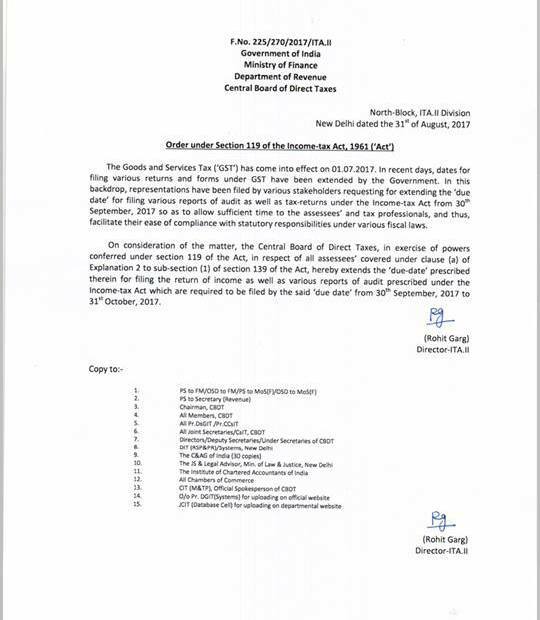 CBDT has extended the due date for filing Tax Audits from 30th September, 2017 to 31st October, 2017 on the request of professionals as due dates of filing of various returns for July and August under GST have already been extended to September, 2017. This has been done to provide some relief to the professionals in the busy month of September for compliance of statutory responsibility under GST and Income Tax. This is quite useful for essay paper writing services for my brother who studies finance and taxation. Very useful piece of information indeed. This was a great help.